In about three years of anti-drugs operation in Bohol, authorities have taken off the streets over six kilos of addictive substances, with an estimated street value of over P81 million, which that could have eaten to the core of the Boholano Boholano society. Bohol Police chief, PSSupt. Angeles Geñorga bared this during the recent joint meeting of the Provincial Peace and Order Council (PPOC) and Provincial Anti-Drug Abuse Council attended by no less than Dangerous Drugs Board (DDB) Chairman, Secretary Catalino S. Cuy. During the briefing which Coronel Geñorga gave to update council members on the current situation of the drug clearing operations across the province, he bared the anti-drug operations from July 2016 to October 2018. During the 27 months of operations, local authorities have confiscated 6,418 grams of dangerous substance methamphetamine hydrochloride (meth) or otherwise called shabu with a DDB with a street value of P 81,154,394.65. Along the process, excluding the operation plan ToktokHangyo (Tokhang), authorities have arrested 1,183 persons in 925 conducted operations, and have filed 1,843 cases in the proper courts, Geñorga said. The biggest feat however is that, during that period, Bohol police anti-drug authorities were able to convince 39, 143 drug users to surrender so that appropriate measures for rehabilitation could be recommended and given them. Moreover, the Camp Dagohoy Chief reported to Sec. Cuy and to the members of the joint meeting that in December of last year, Bohol started the Seal of Good Housekeeping Project (SGHP). A component of the drug clearing operations, the SGHP includes putting up of drug free stickers in homes all over the province. 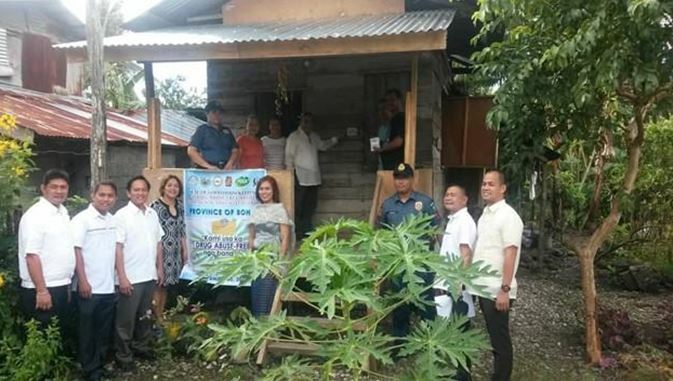 Started in December of 2017, the stickering program is a joint effort of the local puroks, barangay anti drug abuse teams and officials, municipal anti drug abuse council and the local police. Houses with identified drug users are not given the drug free seal until the user gets through and completes the three or six months of rehabilitation. According to Geñorga, of the 301,397 households all over Bohol, after 11 months, 236, 835 households have been given the drug free seal, the police accomplishing some 78.58%.